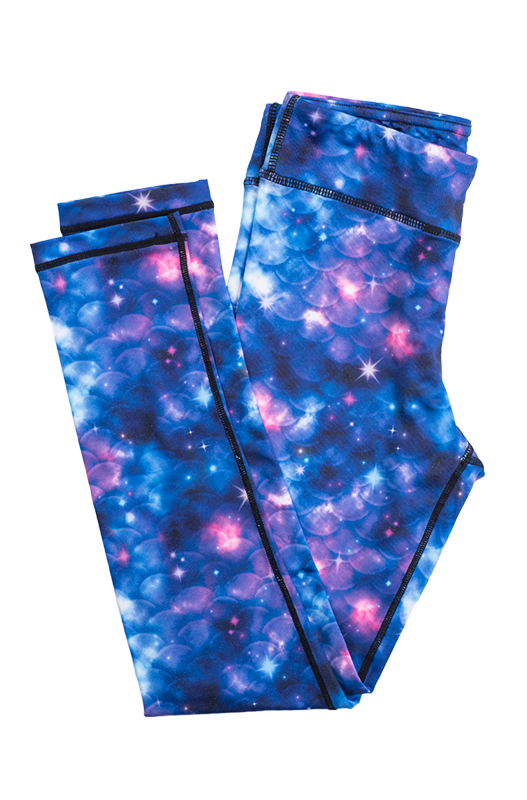 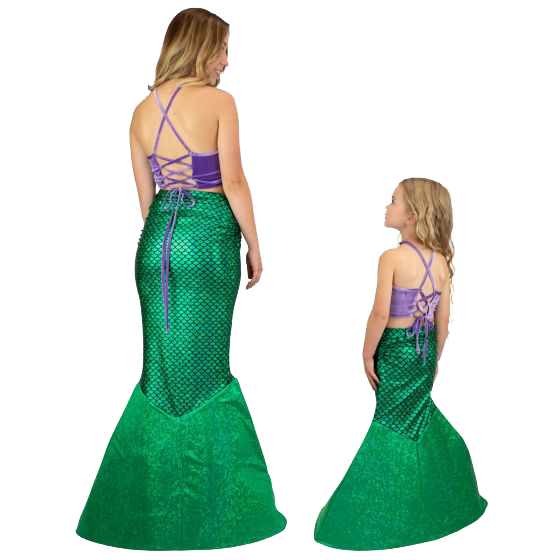 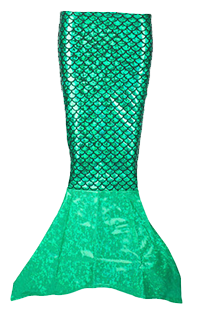 When you’re on the haunt for a high-quality mermaid costume, you’ll adore Fin Fun’s mermaid outfit for kids and adults made of premium fabric and decorative accents! 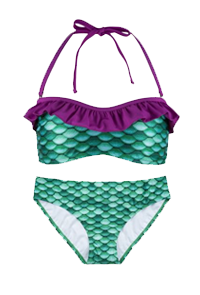 This two-piece set features a velvet-like purple crop top and shimmery green mermaid tail skirt that will set your inner Ariel free! 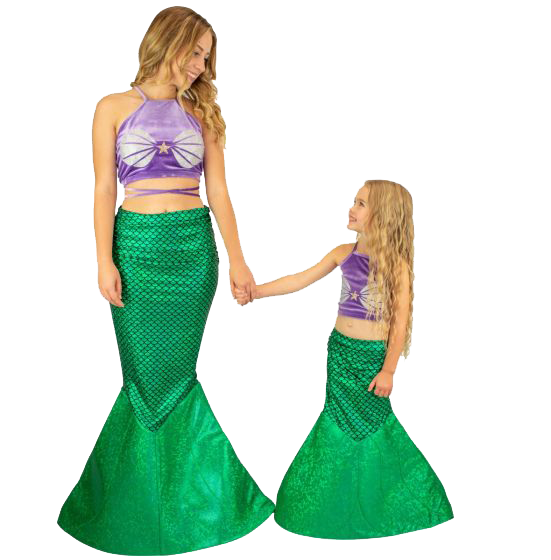 Just lace up the swimmable, glittery seashell-printed top and pull on your sparkly emerald skirt for an instant mermaid transformation!